» WTB or WTTF for Axles and maybe a trans. Do we want to continue. I recently renewed the hosting for our website. But it doesn't really seem like anyone is using it. Now the domain is set to expire. Do we want or need to renew our domain name? So here is the question, do we want to continue? I am new to North Carolina, and haven't found a decent hobby shop yet - until I found about TOYTOWN HOBBY SHOP. For all your crawling needs. Because we all NEED crawler parts! 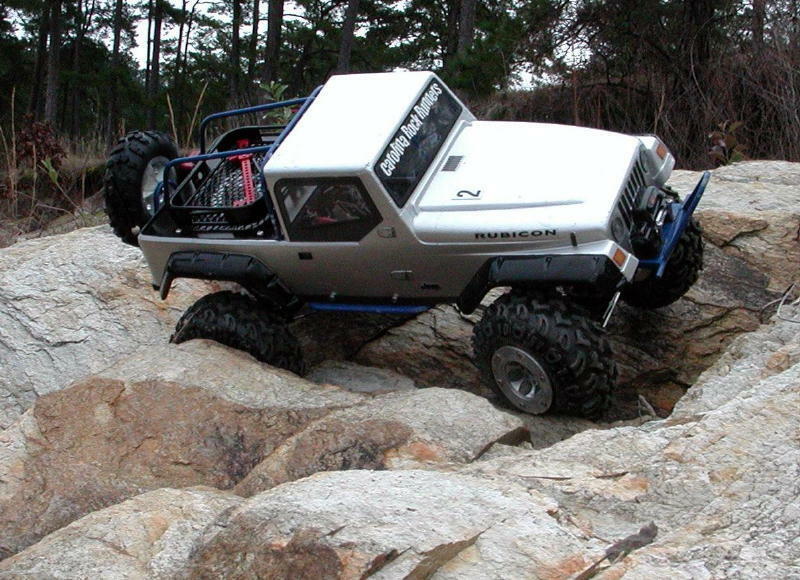 Carolina Rock Runner will soon have a sub forum on NCRCCrawler. We will work in complete harmony with the forum and will be governed by their code of conduct. Most importantly - If you have a problem, PM the people involved. Don't start crap in the open forum. Sorry I've been out of the loop for a while, works been hell. All Remainig active members please read. "The future of crawling, comps, and clubs in NC"
Carolina Rock Runners Comp 8 is schedualed for next Sunday 8-31-08. Rene and I posted several weeks ago about having this comp at Pilot Mnt. I'm here to anounce Next weekend 8-31-08 Comp 8 will be at Pilot Mnt. The only porblem is I have no Idea where the crawling spots are.